assassinations of Martin Luther King Jr and Robert F. Kennedy. 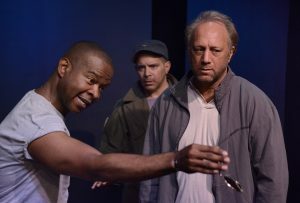 LOS ANGELES (August 8, 2018) — USVAA Vets Repertory and Revenant Stage (formerly The Elephant Theatre) present the world premiere of A 60’s Trilogy, written by playwright and screenwriter Tommy Carter(Hellz Kitchen Ablaze, Remake for BET).Revenant Stage and USVAA Vets Repertory Artistic Director David Fofi (Unorganized Crime, The Twilight of Schlomo, In Arabia We’d All Be Kings) directs. Producers are Danna Hyams(formerly of The Hayworth Theatre) and veterans Kim Estes and Keith Jeffreys of USVAA. A 60’s Trilogy plays August 31 through September 23 as a guest production at The New American Theatre in Hollywood; 1312 N. Wlton Pl. Tickets can be purchased at Plays411.com/trilogy. Montgomery: A hospital emergency room is crowded with black and white marchers who were beaten mercilessly by law enforcement during a march led by Dr. Martin Luther King Jr. Inspired by the whites who like so many countless blacks also lost their lives tragically during the civil rights struggle. Starring John Charles Meyer, Jean Noel Ruhland. Tommy Carter is a graduate of the USC School of Dramatic Arts, BFA, Drama. 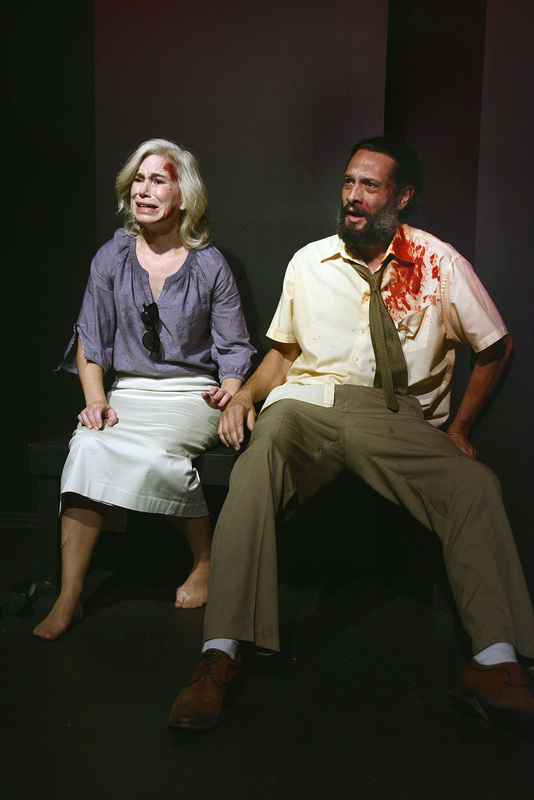 As a writer Mr. Carter is included in the book Great Monologues from The Mark Taper Forum. 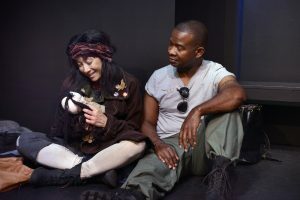 Theatre credits include Hellz Kitchen Ablaze (The Mark Taper Forum New Works Festival, The Hudson, Pan Andreas and The Elephant) and Teamsterz Basement (The Cast.) TV writing credits includeStomp (BET), The Marshal (ABC), ABC and recently creating the seriesRemake for BET. Member Los Angeles Playwrights, Los Angeles Black Playwrights, Padua Hills Playwrights Conference. Mr. Carter is a member of WGAw and SAG-AFTRA (Thomas George Carter). TV/Film acting credits include Secret Service to President Fitzgerald Grant on Seasons 3 and 4Scandal, Baby-O, Something New, (A Filmed One-Man Show). Theatre credits include True Confessions (The Complex,) Porgy and Bess and Aida(Dorothy Chandler Pavilion), The Bridgehead (Odyssey). David Fofi (Director/Artistic Director of Revenant Stage and Founding Artistic Director of USVAA Veterans Repertory). 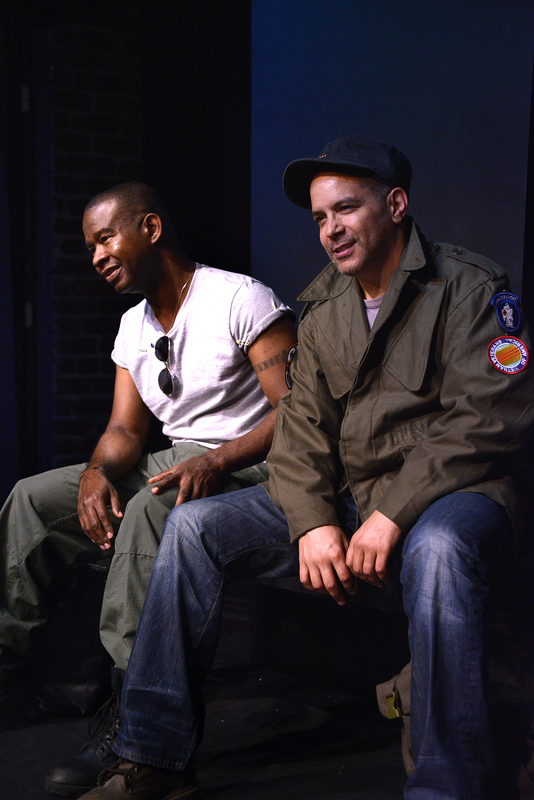 After serving with the US Navy, David Fofi went on to study theatre at California State University Long Beach, where he met a core group of artists who would become the Elephant Theatre Company, founded in 1995 in downtown Los Angeles. David is now helming The Revenant Stage and USVAA Veteran’s Repertory. 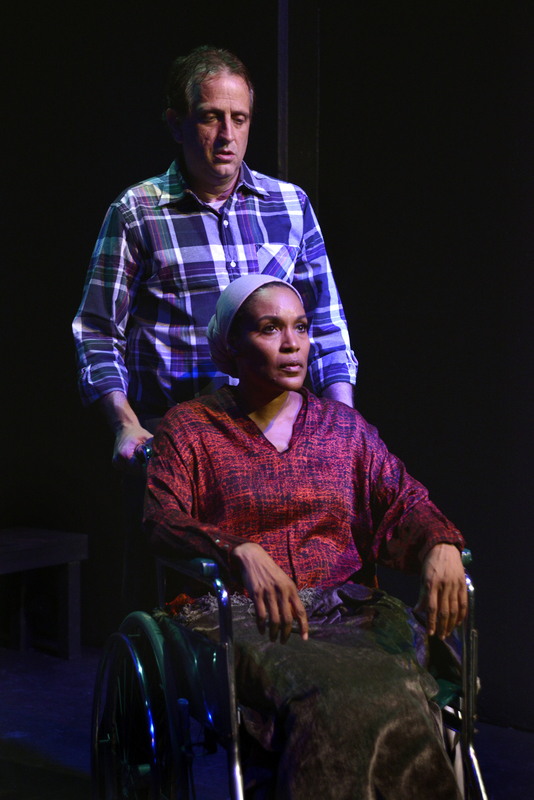 Over the past twenty years David has Produced forty Stage Productions and directed twenty-seven. His directing credits include: The World Premiere of Unorganized Crime(featuring Chaz Palminteri, (Ovation Nominated ). 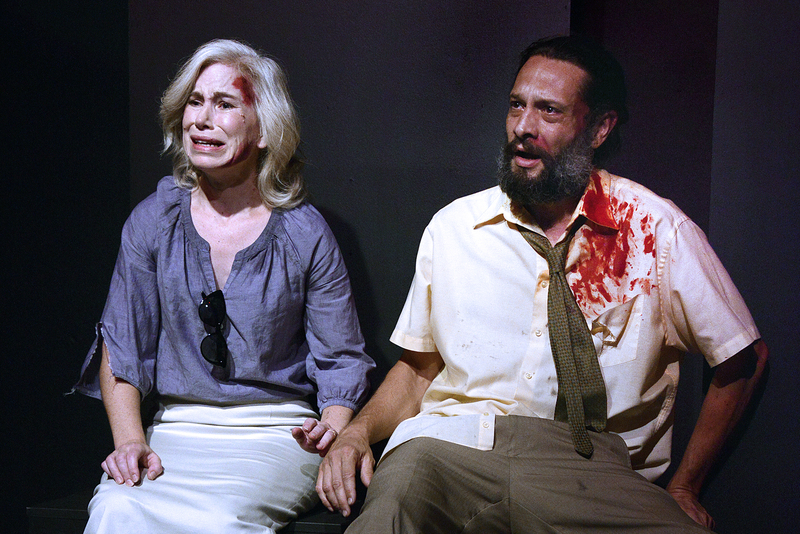 The World Premiere of The Twilight of Schlomo by Timothy Mc Neil ( Los Angeles Times’ Critic’s Pick) ; The North Plan by Jason Wells ( Huffington Post’s Top ten productions of 2013); The World Premiere of Collision by Lyle Kessler at the Rattlestick Theater in New York ( Critic’s pick Timeout NY) ; The world premiere of Farm Boy by Michael Morpugo stage adaptation by Daniel Buckroyd (Los Angeles Times Critics Choice, Backstage Critic’s pick) at The Matrix Theatre, the Los Angeles premiere of The Late Henry Moss by Sam Shepard (Backstage Critic’s Pick), the West Coast Premiere of The Little Flower of East Orange by Stephen Adly Guirgis (Ovation Recommended); and In Arabia We’d All Be Kings by Stephen Adly Guirgis (4 LA Drama Critic’s Circle Awards including Best Production, Multiple Garland awards, Critic’s Pick, LA Times); the World Premiere of Parasite Drag by Mark Roberts, creator of the hit television comedy Mike and Molly, (Ovation Recommended, Critic’s Pick LA Weekly); the World Premiere of The Idea Man by Kevin King (Ovation Award winner); the World Premiere of Anything by Tim McNeil (3 LA Drama Critic’s Circle Awards, including Best Direction, GLAAD Award nomination for best Production, Critic’s Pick LA Times; The World Premiere Exiles by Carlos Lacamara at The Hayworth in Los Angeles (Critic’s Pick, Backstage and LA Weekly). Producing credits include; Ma Rainey’s Black Bottom and Jitney by August Wilson, produced with Stagewalkers Prods. 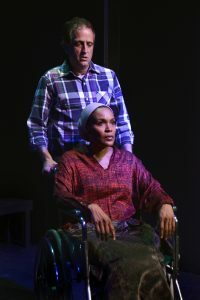 Winners of multiple NAACP and Ovation Theatre Awards featuring Lorreta Devine , James Avery and Russell Andrews ;Heart of A Dog by Mikhail Bulgakov at The Lillian theater (multiple LA weekly awards including best adaptation Michael Franco) featuring Paul Dillon; The World Premiere of Supernova by Timothy McNeil (Ovation nominated, Outstanding Production and Direction LA Stage Scene ); Block Nine by Tom Stanczyk ( 3 LA Weekly Awards ) The West Coast premiere of 100 Saints You Should Know at The Elephant Theatre ( winner LA Weekly Awards , LADCC nominated); West Coast Premiere of Derby Day by Samuel Brett Williams, (Critic’s Choice LA Times, and LA Weekly) produced with Camisade Theatre NY; The critically acclaimed Los Angeles production of Corpus Christi by Terrence Mcnalley produced with Chad Allen and Danny Feldman , directed by the Tony nominated Kristin Hanggi; The Sand Storm:Stories from the Front by Sean Huze (Critic’s Pick Backstage, LA Times Calendar Feature and Opinion Editorial) produced in association with Iraq and Afghanistan Veterans of America. 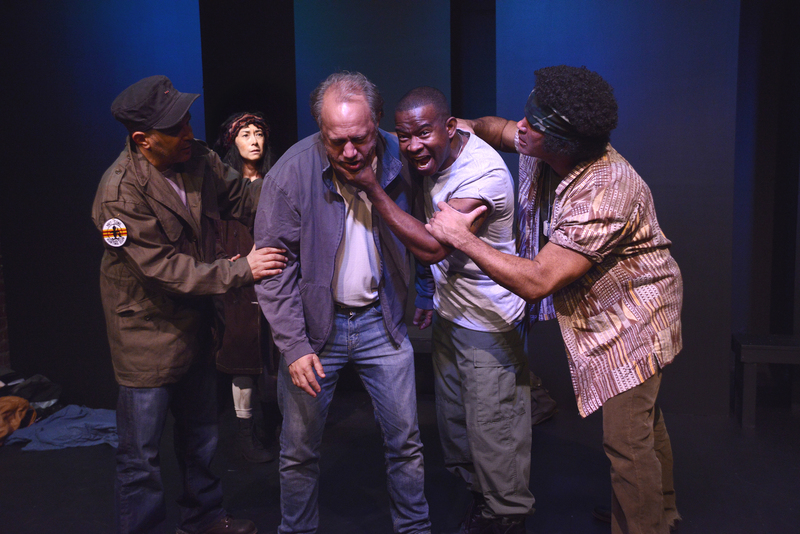 David is a member of The US Veterans Artists Alliance where he teaches acting and directing classes as well as workshops for returning Veterans and Veterans Acting Professionally. Revenant Stage is the new name for the award-winning theatre company The Elephant Theatre. Under David Fofi’s leadership, the company won countless Los Angeles Drama Critics Circle Awards, Garland Awards, Ovation Awards nominations, as well as critical “Critics Picks” from major Los Angeles and New York publications. Under its new name Revenant Stage will produce new works and continue its collaborative spirit. 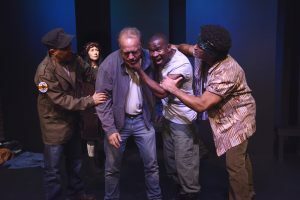 USVAA Veterans Repertory is a new partnership between United States Veterans’ Artists Alliance (USVAA) and the American Theater Channel. Working with military veteran actors, directors and writers, the company will present new and classic works of theater at the USVAA theater and locations throughout the country. It was recently announced that David Fofi is USVAA Veterans Repertory’s new artistic director. The United States Veterans’ Artists Alliance (USVAA) is an award-winning, multi-disciplinary non-profit arts organization, founded in 2004 by military veterans and artists. USVAA provides opportunities for veterans in the arts by highlighting the work of veterans in the arts, humanities and entertainment industry along with the contributions veterans have made to the rich cultural history of our nation since the Revolutionary War. Additionally, USVAA networks with veterans, artists, supportive individuals and organizations within the arts and veterans’ communities to find funding and support for individual artistic projects in theater, film, television, the visual/fine arts and a wide variety of crafts. 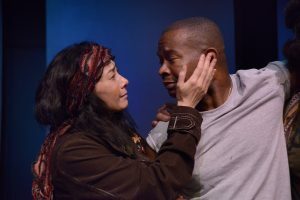 Where possible, USVAA strives – as spokespersons in the veteran’s community and in our endeavors as artists – to address issues of concern to veterans and their families via artistic endeavors and platforms. These issues include the transition from military to civilian life, education, employment, the effects of wartime and military service injuries such as PTSD, TBI and Military Sexual Trauma (MST) and homelessness among veterans. Performances of A 60’s Trilogy take place August 31 through September 23, 2018. Opening weekend, performances will be Friday and Saturday August 31 and September 1 at 8pm. The remainder of the performances are Fridays and Saturdays at 8pm, Sundays at 7pm. World premiere of A 60’s Trilogy by Tommy Carter connects race relations and the Vietnam War to present day, on this 50th Anniversary of the Tet Offensive and the assassinations of Martin Luther King Jr and Robert F. Kennedy. 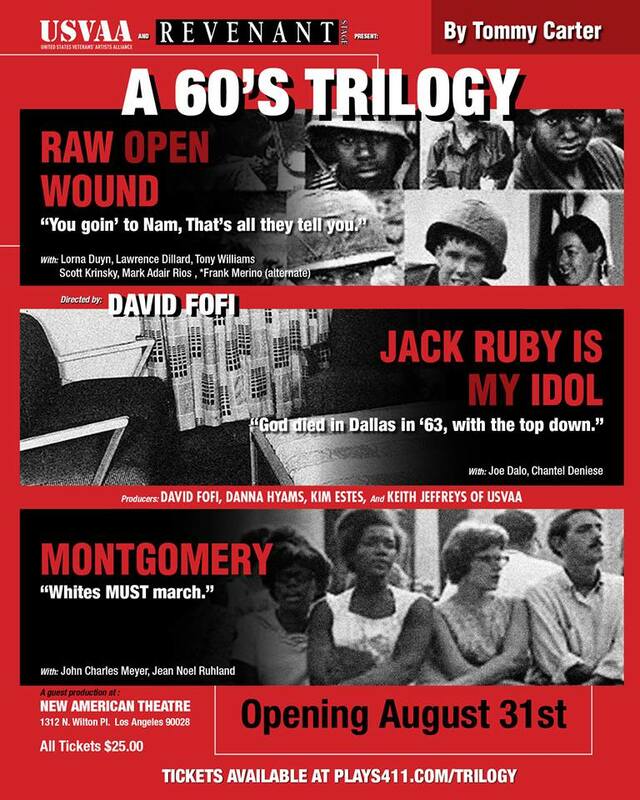 A 60’s Trilogy features three short plays: Raw Open Wound, Jack Ruby is My Idol, and Montgomery. 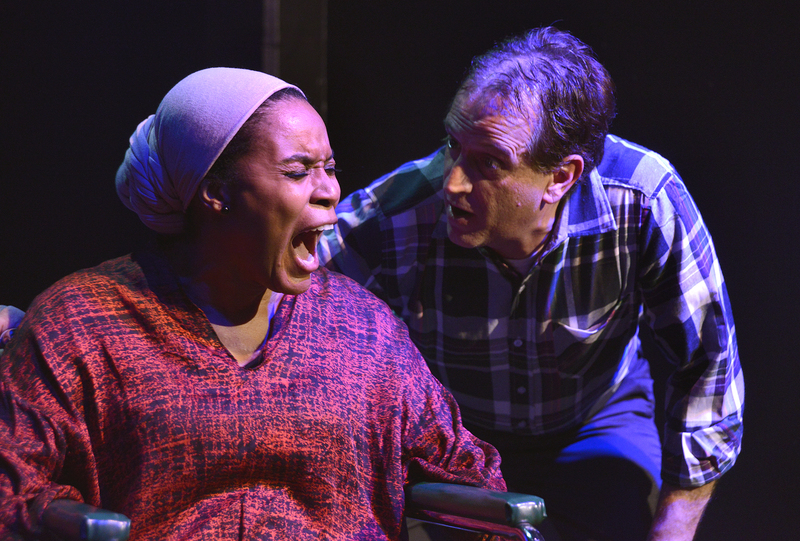 The first project between USVAA Vets Repertory and Revenant Stage (formerly The Elephant Theatre) is directed by Founding Artistic Director David Fofi. • Produced by Danna Hyams and veterans Kim Estes and Keith Jeffreys of USVAA. Opening weekend: Friday and Saturday August 31 and September 1 at 8pm. Then: Fridays and Saturdays at 8pm, Sundays at 7pm. No Sunday performance opening weekend.